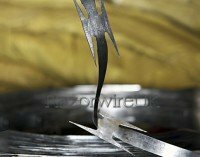 RazorwireUK prides itself on ensuring it offers the best available PPE designed specifically for use with razor wire on the market today. 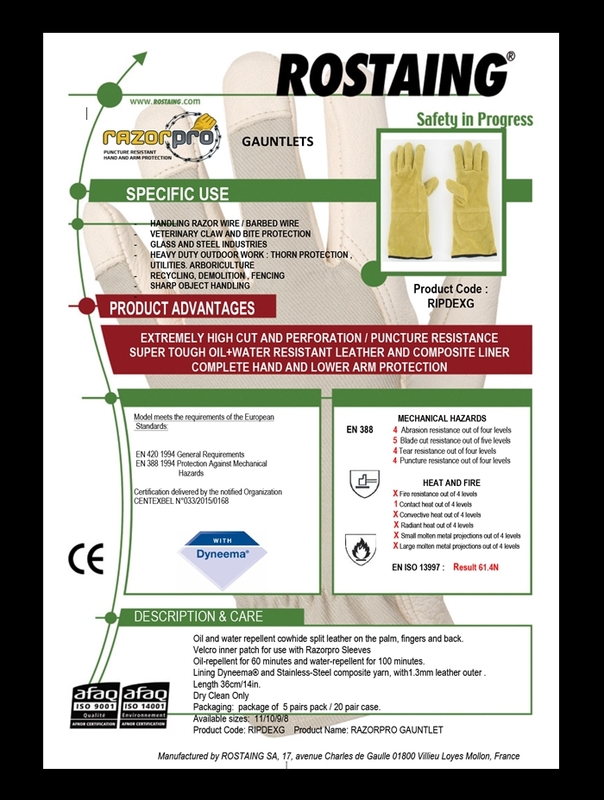 The Razorpro brand of Gauntlets and Sleeves are designed by SAE Systems and manufactured by Rostaing a worldwide renowned manufacture of PPE Gloves. 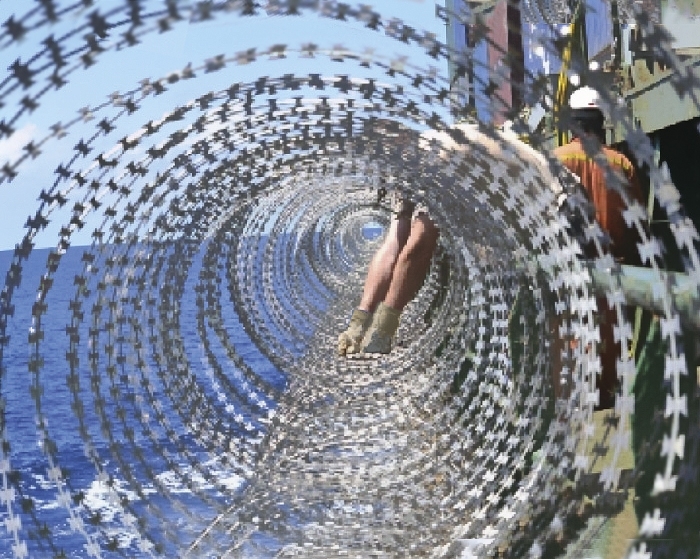 Specific attention has been given to puncture resistance, durability and flexibility based on RazorwireUK and SAE Systems extensive experience in the field of supplying Razorwire to Government, Civil and Military institutions worldwide. The importance of using the correct PPE when handling razor wire is imperative and the biggest mistake often made is to select PPE based on cut resistance whereas the emphasis should be placed on puncture resistance which is the most likely method of injury to the person handling razor wire. 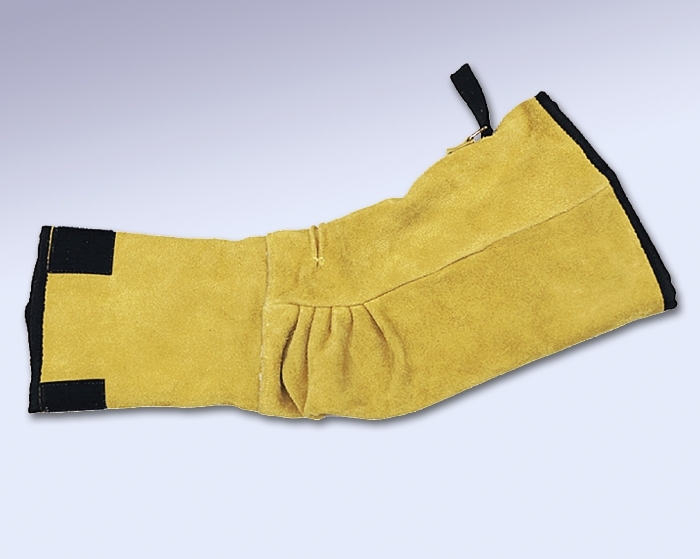 Additionally snagging of the PPE on clothing can create problems particularly when installing in difficult and hard to access situations so a snag resistant material system is also recommended. 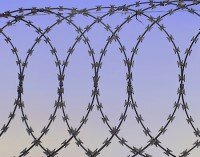 The next important factor in selecting PPE for use with razor wire is ensuring all exposed areas of the body are adequately protected from contact with the razor wire. 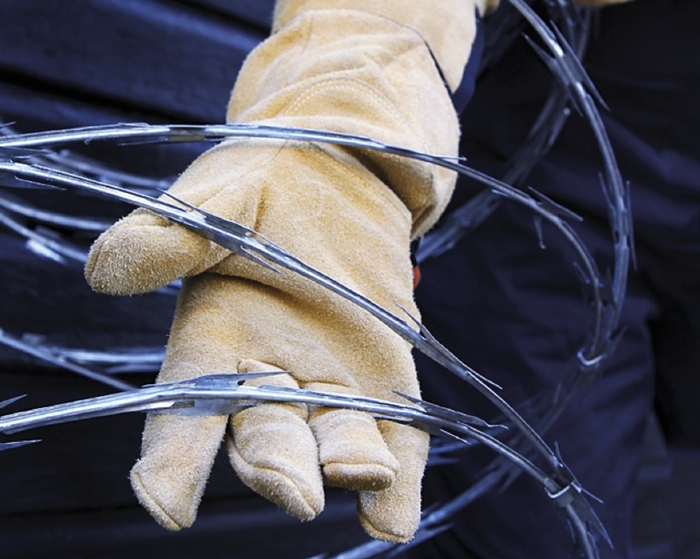 Because installers and de-installers often have to reach inside the razor wire coils when fitting or removing razor wire the wrist, inner arm and armpit are often exposed, its important these areas are protected from the sharp barbs encountered with razor wire. 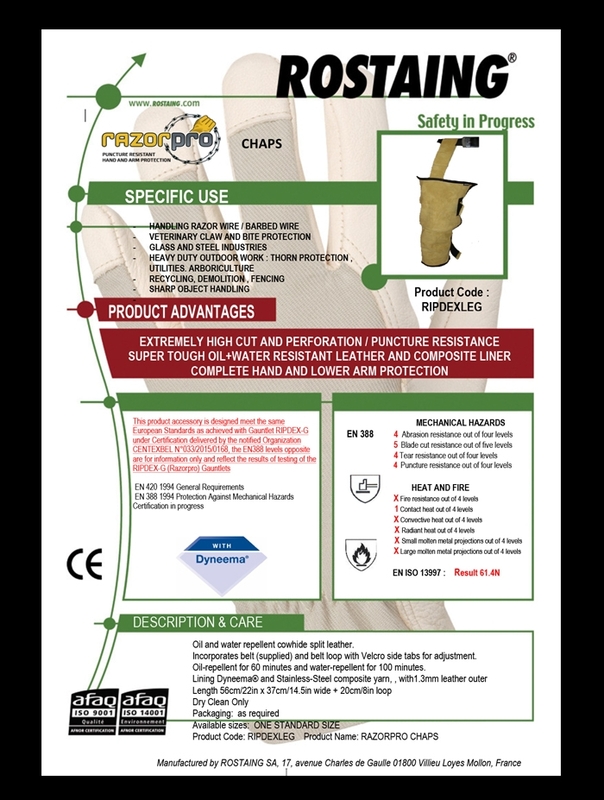 Razorpro Gauntlets, Sleeves, Chaps (leg protection) and Apron (body protection) have been specifically designed to provide the highest level of razor wire protection available on the market today. 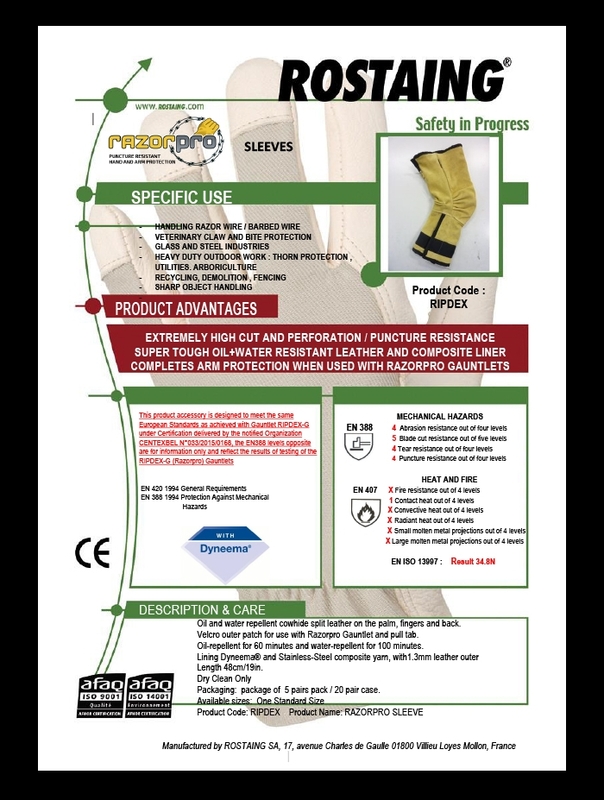 Manufactured to CE standards EN 420 1994 and EN 388 1994 Razorpro Leather PPE provides the following levels of protection. 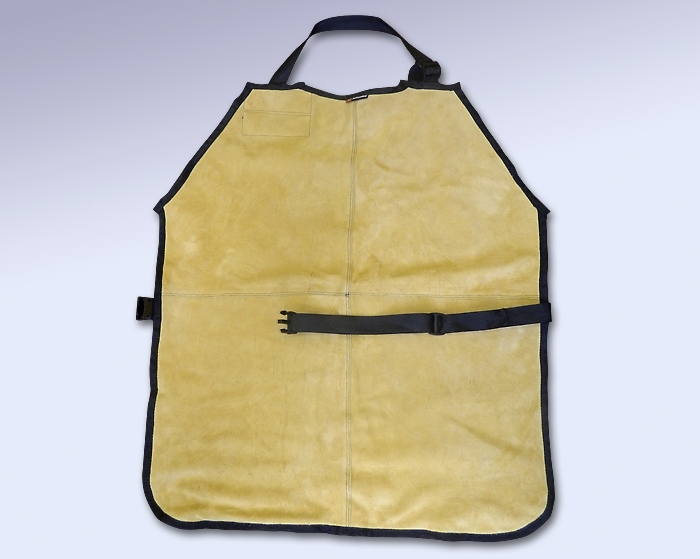 Level 4 – Puncture resistance (out of 4 levels) This is the highest level of protection attainable in a flexible leather/ composite material design. 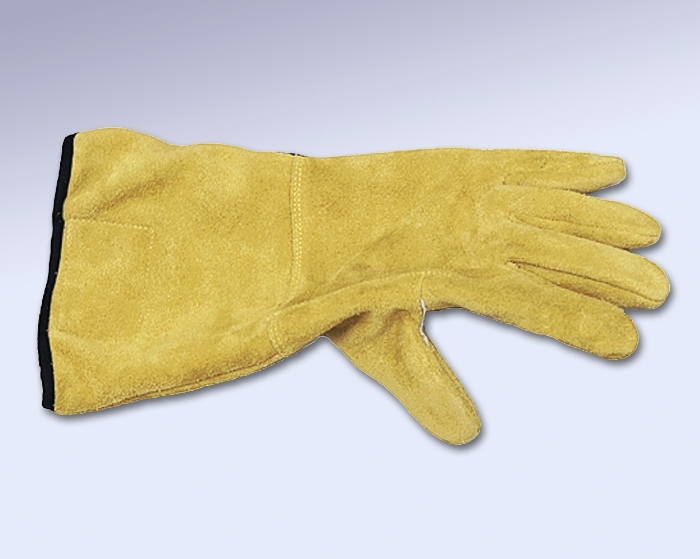 Water and Oil repellent 1.3mm thick leather lined with composite fibre under glove with para-aramid thread seams. 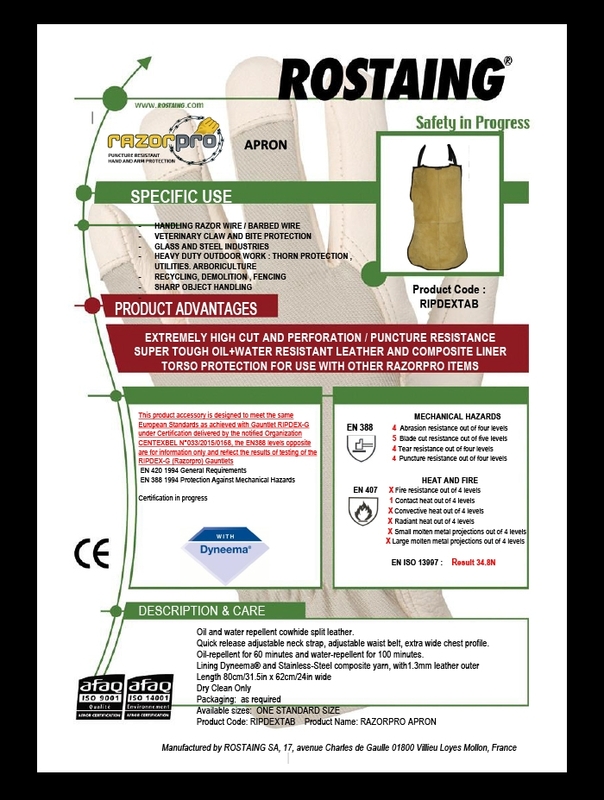 RazorwireUK also supplies bespoke designed Razorpro aprons and chaps to provide neck to below knee protection. 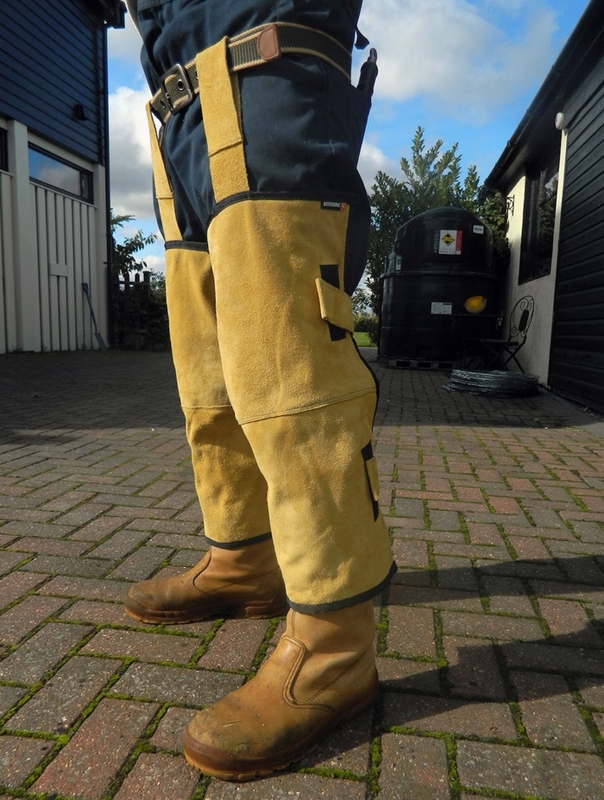 Whilst these garments are not always necessary for small or one off installations we would highly recommend the use for any substantial installation, removals or for professionals engaged routinely in this activity. 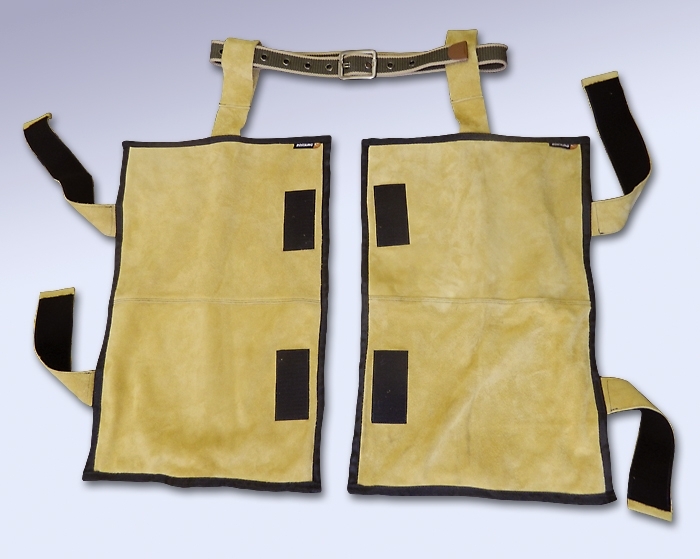 Lightweight and water & oil repellent these products offer superior comfort and flexibility without compromising the level of protection. 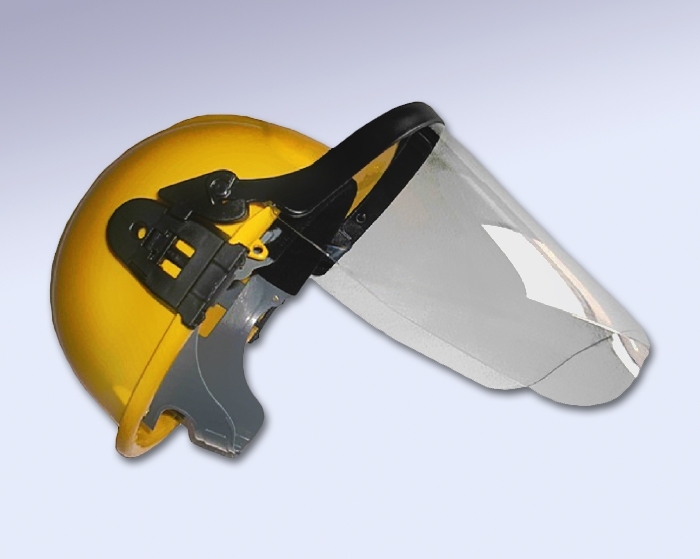 As with the gauntlets and sleeves the face and neck are areas that need to be protected when installing razor wire, the possibility of a coil springing back or the razor wire falling on the installer needs to be considered and in particular we recommend a full length visor that will deflect the razor wire from the face and neck areas, a simple set of safety goggles is not sufficient. 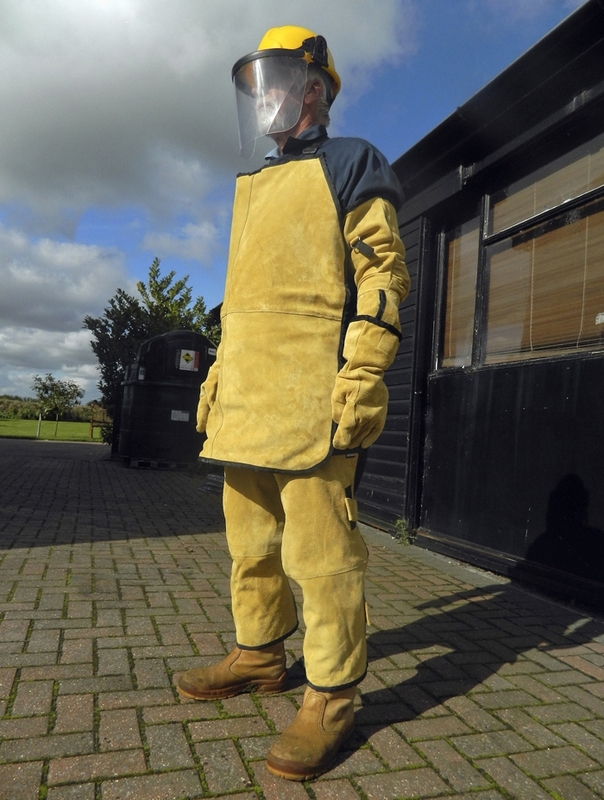 RazorwireUK routinely supplies a range of top class PPE suitable for usewith its products. 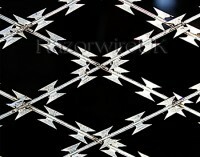 Please contact us for more information and very competitive pricing.